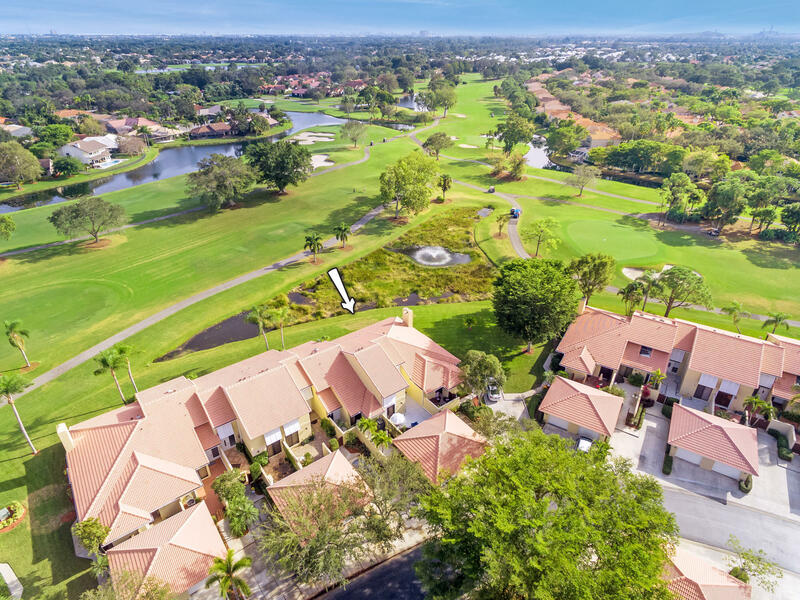 Enjoy gorgeous sunrises over peaceful golf & water views from this fully remodeled, bright & spacious, 2BR/2BA open-plan townhome with a garage located on the 4th fairway of the Haig course in the highly sought-after Patio Homes subdivision of PGA National. Desirable features include soaring vaulted wood ceilings, wall-to-wall sliding glass doors, high-end wood laminate flooring, updated kitchen with tiled countertops and stainless steel appliances, all updated bathrooms, a spacious master suite with large windows overlooking the golf course, and a downstairs bedroom with a full bath and sliding glass door access to the large front courtyard. The expansive covered patio is screened-in and has outstanding views of the golf course and well-manicured landscaping. Newer AC.